Be sure to visit our tutorial section. 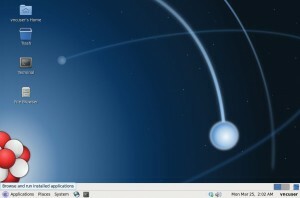 We currently have tutorials for the Centos operating system. It has everything you need to get your shiny new VPS up and running. Everything is done with the free Webmin control panel. Learn how to connect to your new server when your host sends the login information. After you’ve got that you can make a nameserver for DNS if needed. Then make your site visible to the world with Apache webserver. Learn how to get the email flowing in a few short minutes. We also have tutorials for installing ownCloud and a VNC desktop connection. A few years ago I was searching for a cheap dedicated server to host a new project I was working on. This would have run me at least $40 or $50 for a cheap dedicated server. In my searches I came across a few advertisements for “Virtual Private Servers”. I was skeptical, how can you divide up a server and everything still work correctly? I tried one out, mainly because it was so inexpensive. I’m cheap. There I admitted it. To my amazement it performed every bit as well as the cheap dedicated server I was going to get at about 1/5 the cost. I have been hooked on them ever since. How else can you do so much at such an inexpensive price? The days are gone where you have to work in telnet and type in strange, unintelligible commands. Now you can work in comfort with control panels that do everything. You can install LibreOffice, which is a free program suite like Microsoft Office and do all your work in the cloud. Just use a free VNC client like Tiger VNC to connect and you’re at home in your office where ever you go. A VPS can be used as a place to store all your files that you wish to have access to wherever you may be. OwnCloud is a free program like Dropbox that you can install on your VPS and only be limited by the size of your VPS While Dropbox has a free 2GB limit. You can then transfer files to your tablet, phone or 2nd computer by just having the program or app installed. OwnCloud has apps that work on Adroid and Apple operating systems and can be downloaded from their app stores. OwnCloud also has desktop programs that work on Windows, Apple and Linux. The best part is that it’s dirt cheap to do. A VPS can be had for $5 or $10 a month. It’s as cheap as a magazine subscription. If you’re the kind of person who likes to tinker, a VPS is for you.